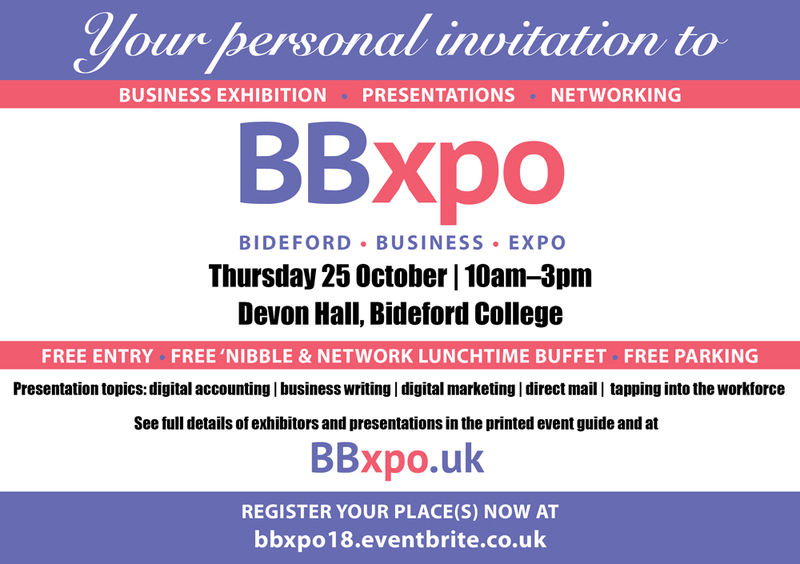 If you’re exhibiting at Bideford Business Expo 2018 or are a business or organisation in Bideford or North Devon wanting to help support BBxpo, below are publicity resources you can download and share or print. 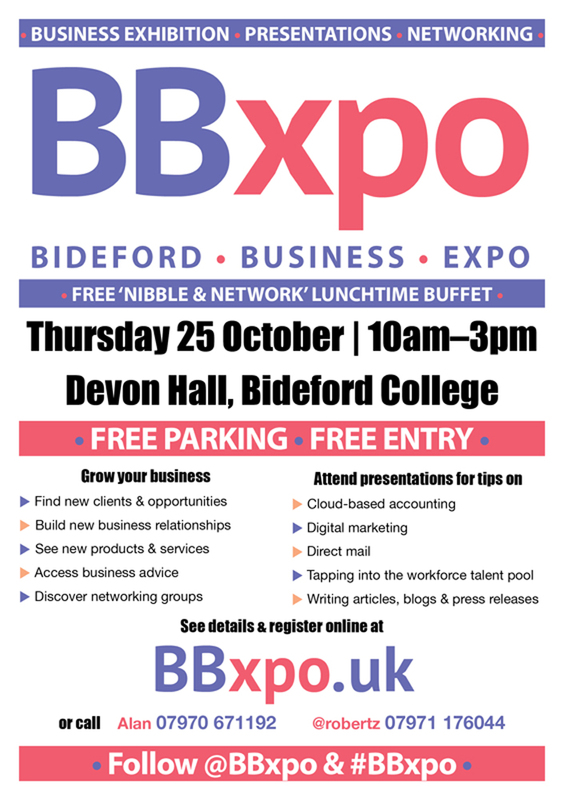 Download this invitation to attach to your emails and send to your contacts. Download this poster in A5, A4 or web sizes to print and display or add to your web site.